It seems so simple; you want to protect your dog’s paws so you buy a set of dog boots. You put them on your dog and laugh as your dog high steps around and shakes his paws. After a few minutes, your pet adjusts and you go for a walk. But one of the boots keeps sliding off. 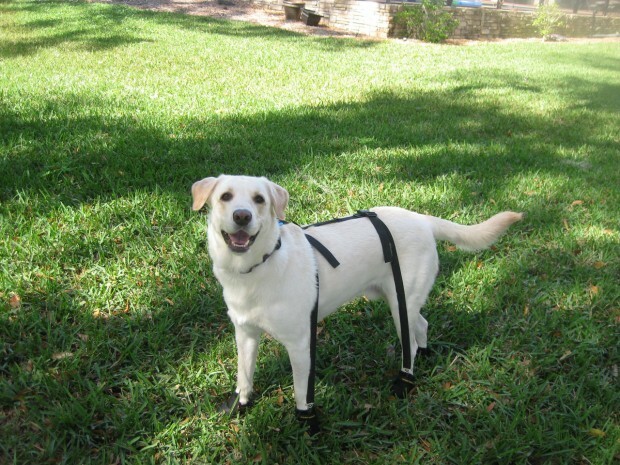 If you’ve ever used dog boots, you know the difficulty in keeping them on your pet. You put them on and one comes off. You get that one on and another one comes off. They connect to your dog’s collar and to the dog boots. You adjust them to the appropriate size and Presto! No more lost booties! When we invented the Snuggy Boots Orthotic Suspender System, it was initially to protect the paws of Snickers, our office mascot. See, Snickers had suffered a paralysis of his hind legs due to a reaction to a topical anti-tick medication. After three weeks in the ICU in Gainesville, at The University of Florida’s Animal Hospital, he tried to walk across the room. His hind legs were barely getting enough blood circulation to keep them alive and as he struggled with walking, two paw pads peeled off leaving raw, bare flesh. You can imagine our dismay. We tried different types of bandages and put dog boots on to cover them, but the boots had to be kept loose to encourage the blood circulation. As a result, the boots kept sliding off. That’s when we re-fashioned an old pair of men’s suspenders for Snickers. The suspenders worked to keep the boots on and Snicker’s paws and hind legs healed. We found an unexpected benefit from these suspenders too. The elastic straps supported Snickers joints. In fact, as he healed, he relied on the straps to help him walk farther faster. They can work for your dog too. For dogs with hip dysplasia, osteoarthritis, arthritis, limping, dragging front toes or feet, wound care, bandage protection, difficulty walking or standing, allergies, burned or blistered paws, paw cuts, excessive chewing or licking and more. If your dog suffers with any of these, the Snuggy Boots Orthotic Suspender System can help your pet find new mobility. 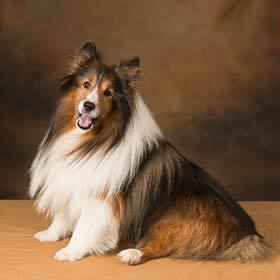 See how they support senior dog joints here.